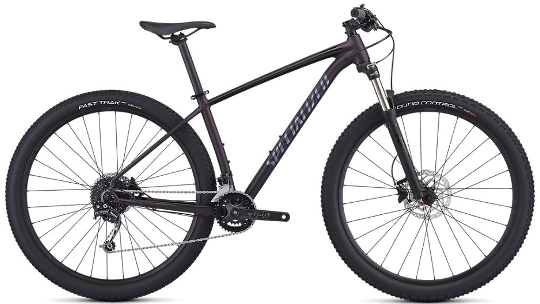 The Rockhopper, Women's specific Mountain bike, was designed by Specialized for those curious about exploring the trail. No matter if it's for the single track, cross country or for getting to know your local forest, the Rockhopper can handle it. 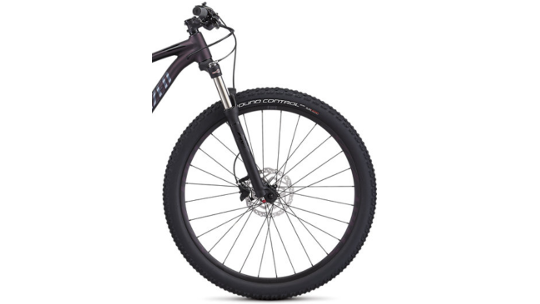 Constructed with Specialized's A1 SL Aluminium frame, the Rockhopper is durable and lightweight and highly reliable having been backed by Specialized's lifetime guarantee. The SL aluminium also enhances the frame's tube shapes to ensure the best efficiency and the lowest possible drag whilst out on your ride. The air-sprung Suntour XCT fork competes far above its price class, effectively taking the pinch out of the rocky trails. 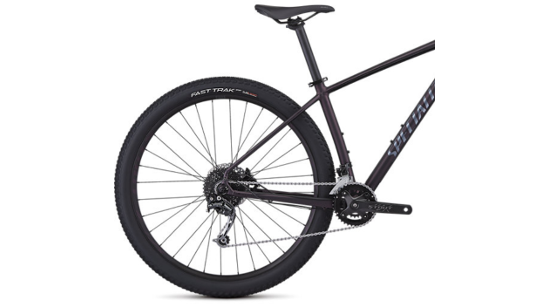 This Expert model of Specialized's Rockhopper range comes complete with an improved 9-speed chainset compared to the Sports edition as well as featuring quick-release, Center Lock hubs that allow for smooth rolling, even on rugged surfaces. Finally, Shimano's BR-MT200, hydraulic disc brakes showcase the quality and reliability needed in harsh winter and wet conditions.